Typically, the role of nature goes largely unrecognized but is often critical to the livelihoods of people and, also very importantly, the performance of built water resource infrastructure (e.g. dams and levees). Water resource systems should be conceptualized as complementary combinations of natural and built infrastructure, working in tandem. Nature based infrastructure was at the forefront of this year's Stockholm World Water Week, and the Groundwater Solutions Initiative for Policy and Practice (GRIPP) special session looked at how we can harness the “green” infrastructure beneath our feet for improved water security and resilience for vulnerable communities. Ramsar Convention on Wetlands; FAO; International Water Management Institute (IWMI). 2014. Wetlands and agriculture: partners for growth. Gland, Switzerland: Ramsar Convention on Wetlands; Rome, Italy: FAO; Colombo, Sri Lanka: International Water Management Institute (IWMI).. 16p. There is much greater awareness of the critical importance of natural infrastructure for both livelihoods and economic growth than there was 20 to 30 years ago. Sustainable water management needs to account for the ways humans benefit from the environment while also incorporating the impact of human actions on the natural system. Capacity building will be critical to ensuring the effectiveness of nature-based solutions in countries, and will be the starting point to addressing some of the most pressing current issues. The annual flood pulse in the Ayerwaddy Delta supports unique floating rice varieties, creating a biodiversity hotspot for fish and other aquatic species. We are working to understand the impacts of built infrastructure and climate change on the flood pulse, and to identify potential areas for expansion of flood based rice systems. Some of the research highlights the dangers of not taking into account natural infrastructure or, in some cases, overvaluing the services they can provide. Ecosystem services and manmade "grey" infrastructure need not be in conflict: in fact, sustainable development requires them to work together. This story from the Xe Bang Fai river in Laos demonstrates potential opportunities for synergy between built and "green" infrastructure. Recent research has quantified that large dams are linked to more than a million malaria cases each year. How can dam builders and operators, be encouraged to work with relevant government agencies to mitigate the public health threats, not just malaria, that large dams pose? Through our research, we have developed some guidelines and recommendations for how natural infrastructure can be valued and incorporated to improve livelihoods, development projects, and human well being generally. CGIAR Research Program on Water, Land and Ecosystems (WLE).2016.Guidelines for wetlands ecosystems valuation in the Nile basin. Colombo: Sri Lanka.CGIAR Research Program on Water, Land and Ecosystems (WLE).126p. CGIAR Research Program on Water, Land and Ecosystems (WLE).2016.Guideline for sustainable management of wetlands in Ihemi cluster.Colombo:Sri Lanka.CGIAR Research Program on Water, Land and Ecosystems (WLE).20p. McCartney, Matthew P.; Rebelo, Lisa-Maria; Senaratna Sellamuttu, Sonali. 2015. 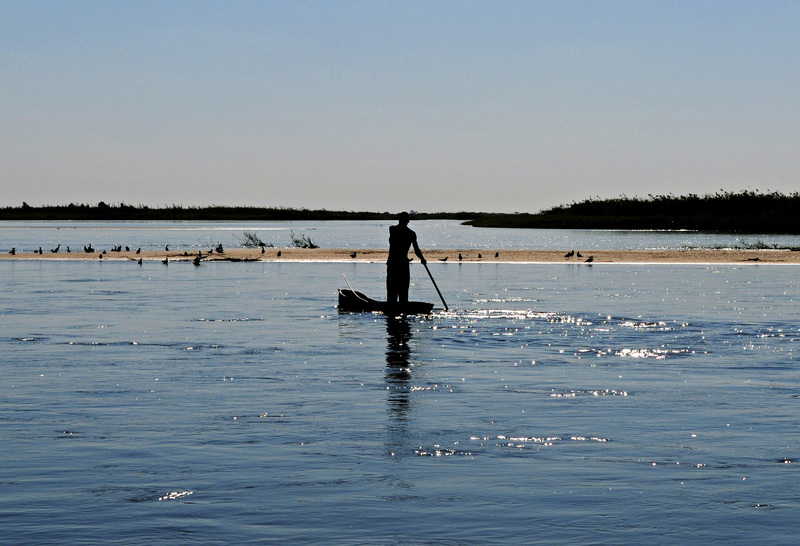 Wetlands, livelihoods and human health. In Finlayson, C. M.; Horwitz, P.; Weinstein, P. (Eds.). Wetlands and human health. Dordrecht, Netherlands: Springer. pp.123-148. CGIAR Research Program on Water, Land and Ecosystems (WLE). 2014. Constructing wetlands within reservoirs to improve fisheries. Colombo, Sri Lanka: International Water Management Institute (IWMI). CGIAR Research Program on Water, Land and Ecosystems (WLE). 2p. Wetlands of the Nile Basin: distribution, functions and contribution to livelihoods. Rebelo, Lisa-Maria; McCartney, Matthew. 2012. Wetlands of the Nile Basin: distribution, functions and contribution to livelihoods. In Awulachew, Seleshi Bekele; Smakhtin, Vladimir; Molden, David; Peden D. (Eds.). The Nile River Basin: water, agriculture, governance and livelihoods. Abingdon, UK: Routledge - Earthscan. pp.212-228. Natural infrastructure related events for 2018. We are working to determine the environmental flows for the Inner Niger Delta in Mali, home to 1.5 million people and 7 million livestock all of whom are reliant on the natural infrastructure of the Delta. Water security is a critical for economic development as well as climate change adaptation, and a combination of natural and man-made infrastructure is the best way to ensure a reliable water supply for all stakeholders. The Karnali Basin of far West Nepal is home to many endemic and rare species of wildlife, but also the site of proposed hydropower and irrigation development; we are working to determine the quantity and quality of water flows required to sustain freshwater ecosystems and the human livelihoods that depend on them. Highlights of some of the work that is being done by our researchers and partners.